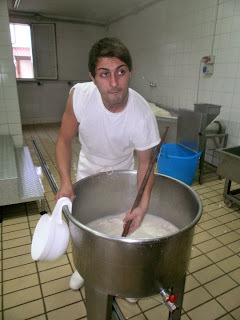 Every week our company work for creation of new itineraries including guided tours and tasting activities at local farmhouses. We are boosting this services in Benevento wine roads and Cilento national park and vallo di Diano. This last place has been included in the UNESCO world heritage list. 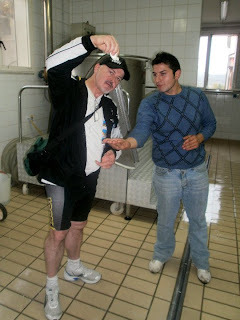 In this pictures : farmer and our customer from Australia during making and tasting activities of buffalo's mozzarella.